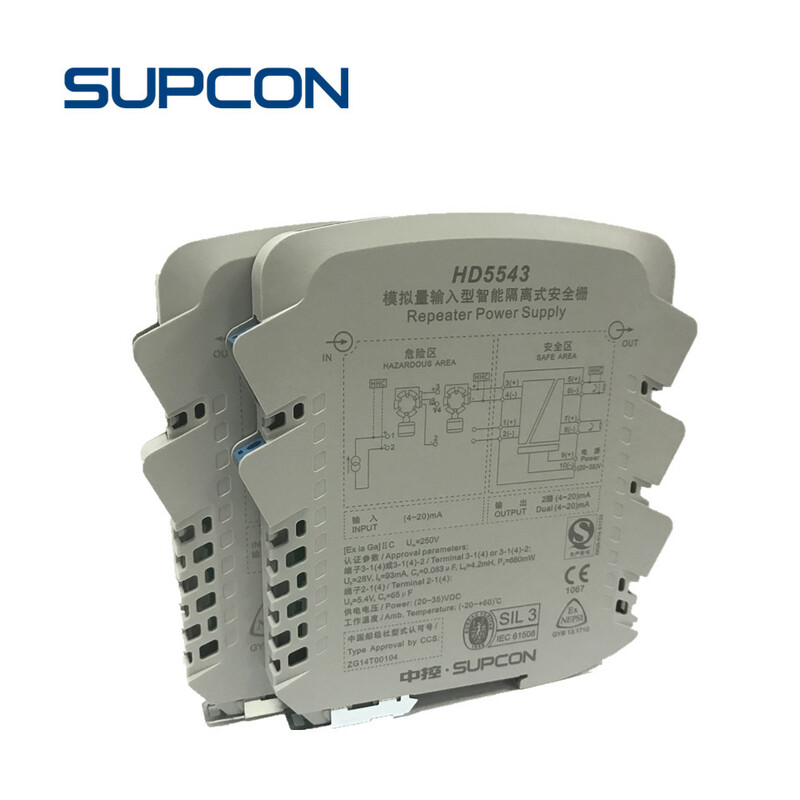 HD5500 series isolated barriers are designed explicitly according to latest national standard for protection of electrical signals located in hazardous areas. 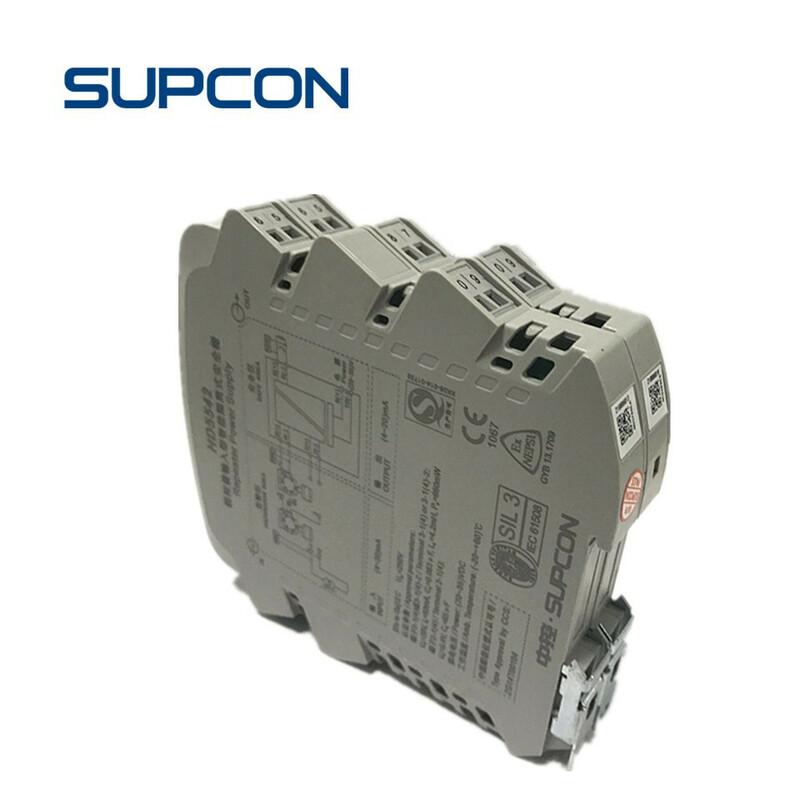 Installed in safe areas, HD5500 series Isolated barriers work in company with intrinsically safe instruments located in hazardous areas to guarantee a totally IS explosion protection system. 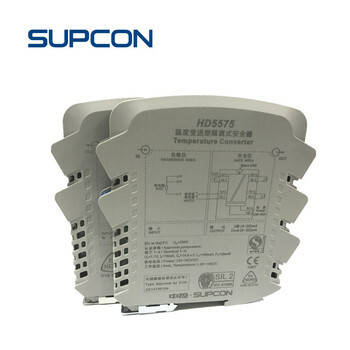 With the inside signal transfer module, HD5500 series isolated barriers can also play the roles of RTD temperature transmitter, thermocouple temperature transmitter and mV transmitter, as well as repeater power supply, solenoid driver and so on. 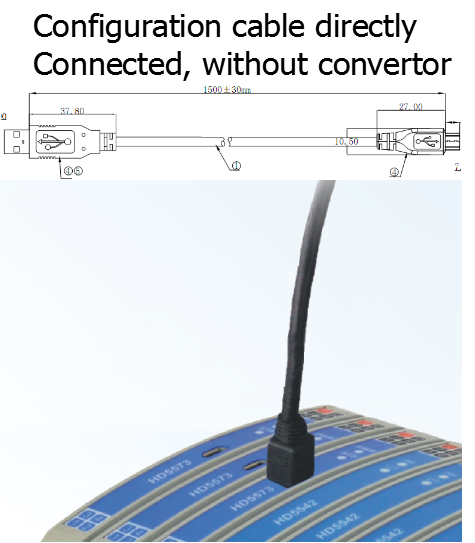 HD5500 series Isolated barriers need no dedicated ground and consequently eliminate the inherent interference of ground loop. 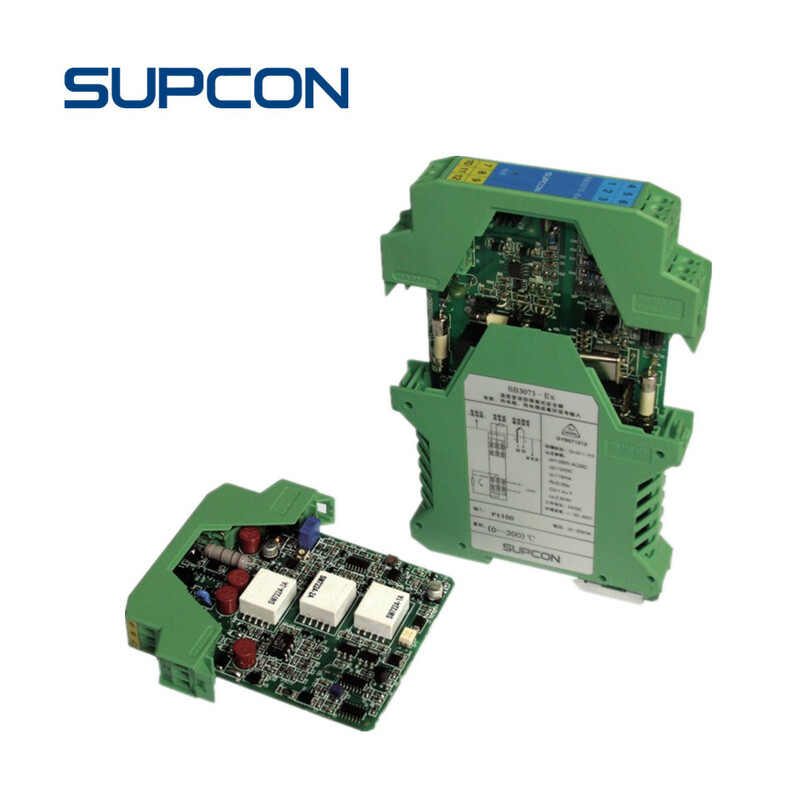 Full 3-port isolation between the input, output and power supply circuits achieves highly floating systems for the pursuit of extraordinary resistibility to complicated electromagnetic interference from industrial environment. 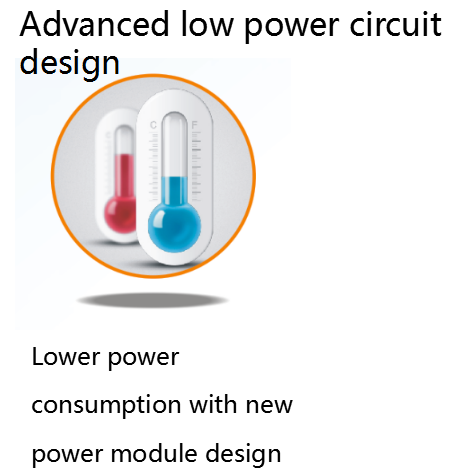 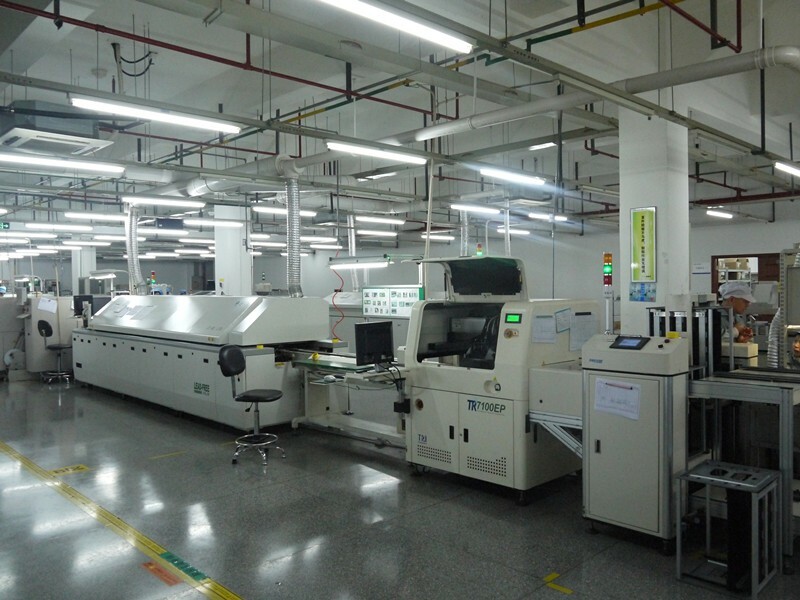 High performance components are widely adopted for optimal signal integrity, taking into account both high accuracy and low drift of full range. 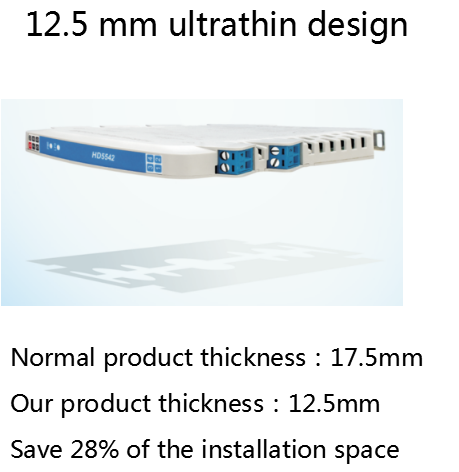 With compact modular design, HD5500 series isolated barriers provide wide application range in the minimum space. 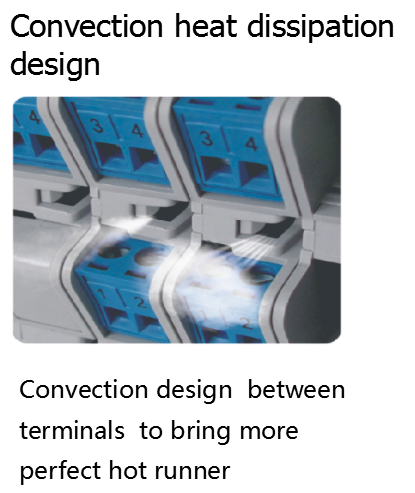 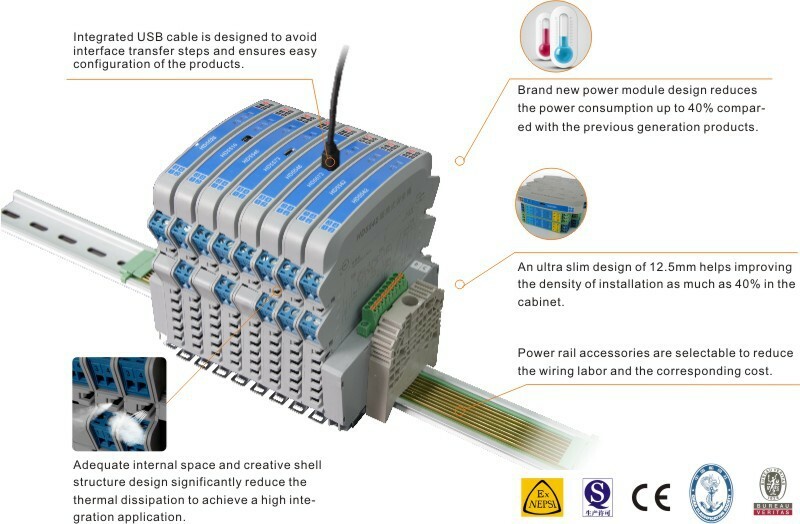 Standard DIN rail mounting format ensures convenient and steady installation, while application of PLUG & PLAY connector ensures the convenience of maintenance. 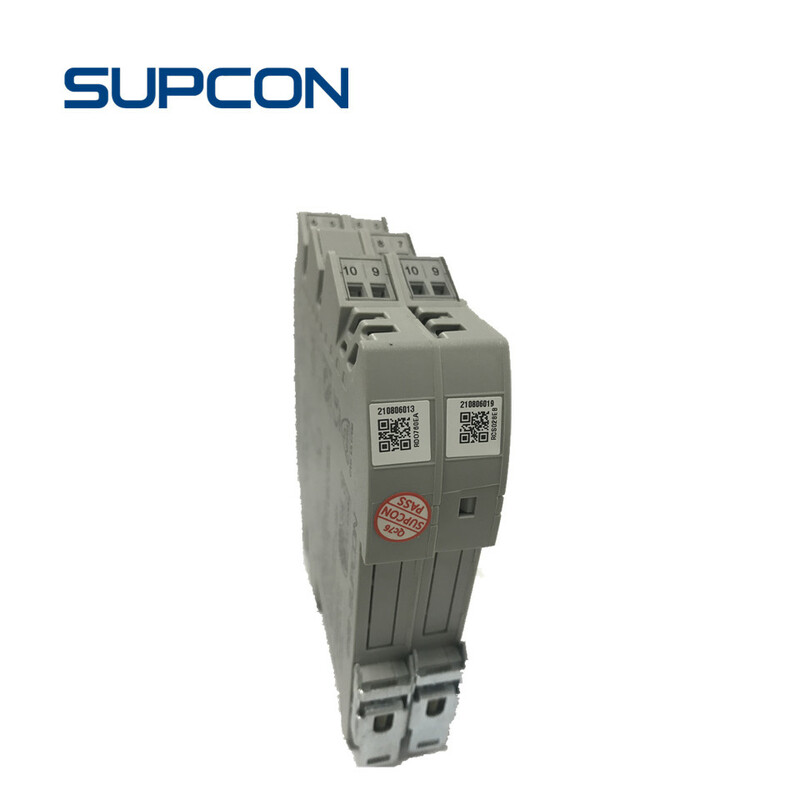 Founded in March 1993, SUPCON is one of China's leading providers of automation and information technology, products and solutions. 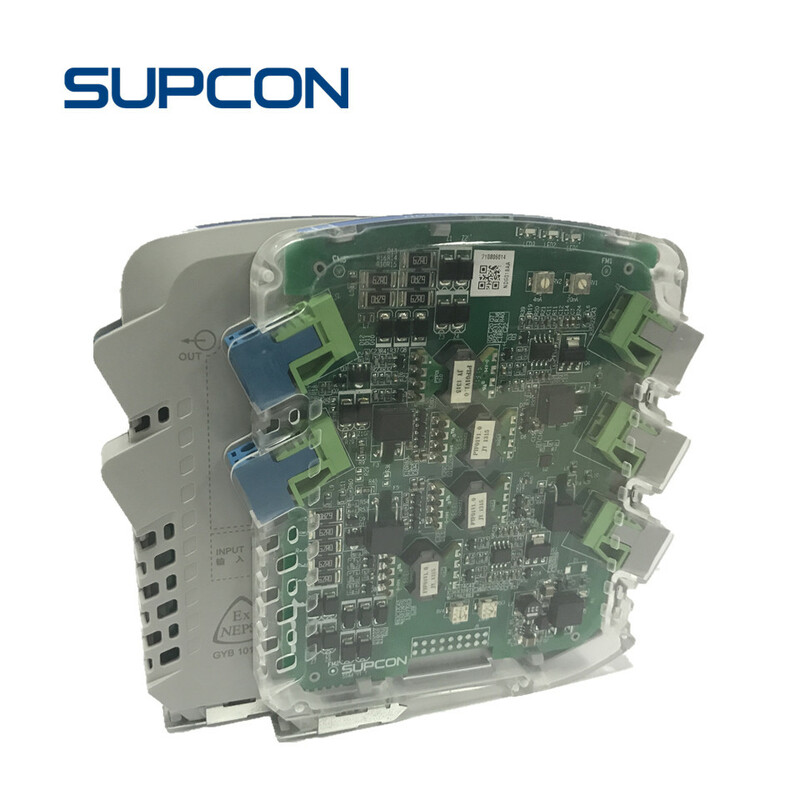 SUPCON has grown rapidly on the back of cutting-edge systems for the development of innovative and solutions are applied in over 35 countries and regions worldwide. 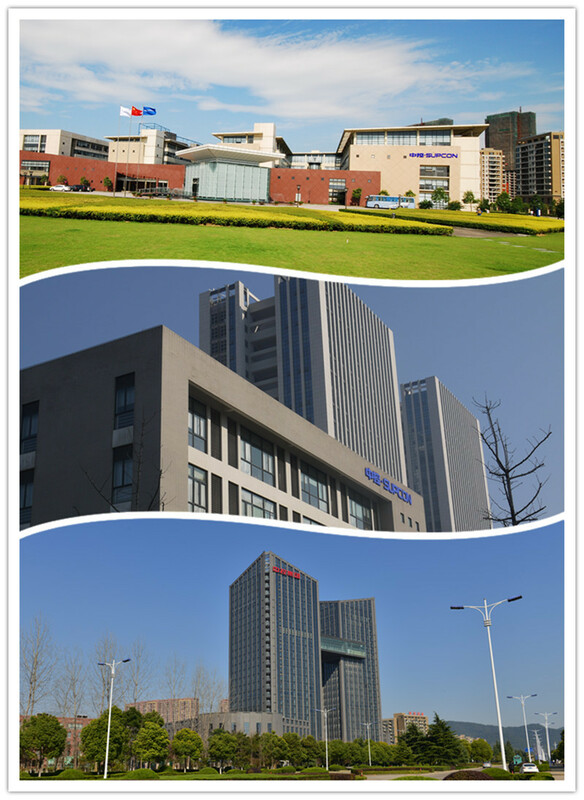 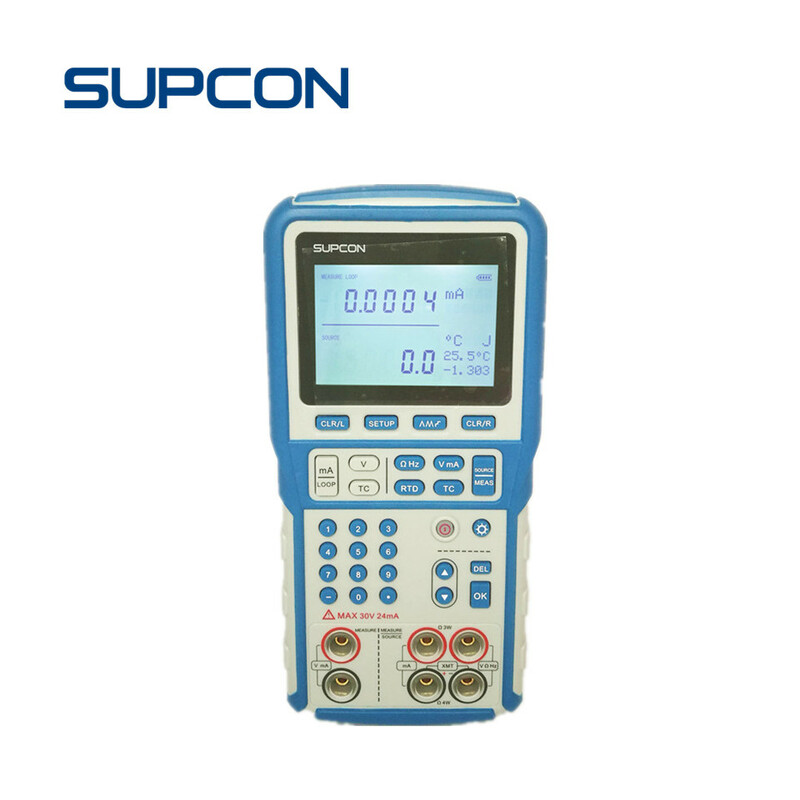 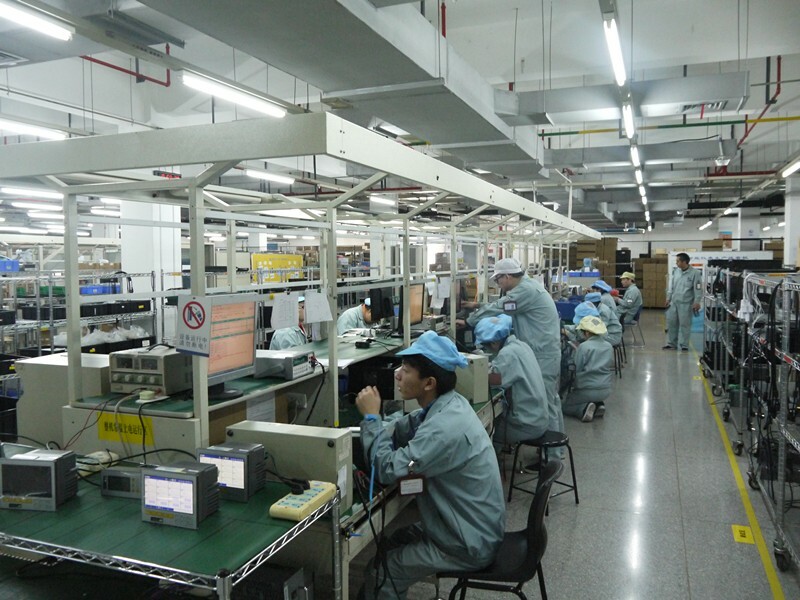 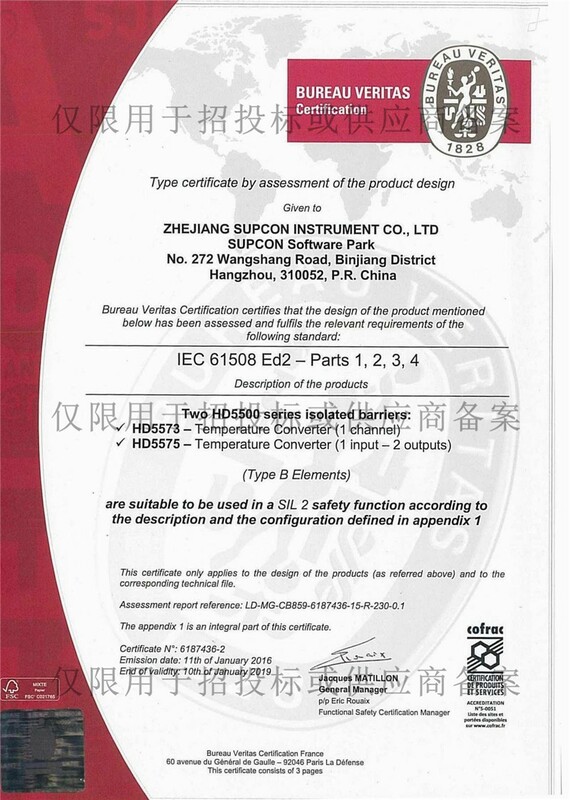 SUPCON has strong technical force, well-processing equipment, a complete quality management system. 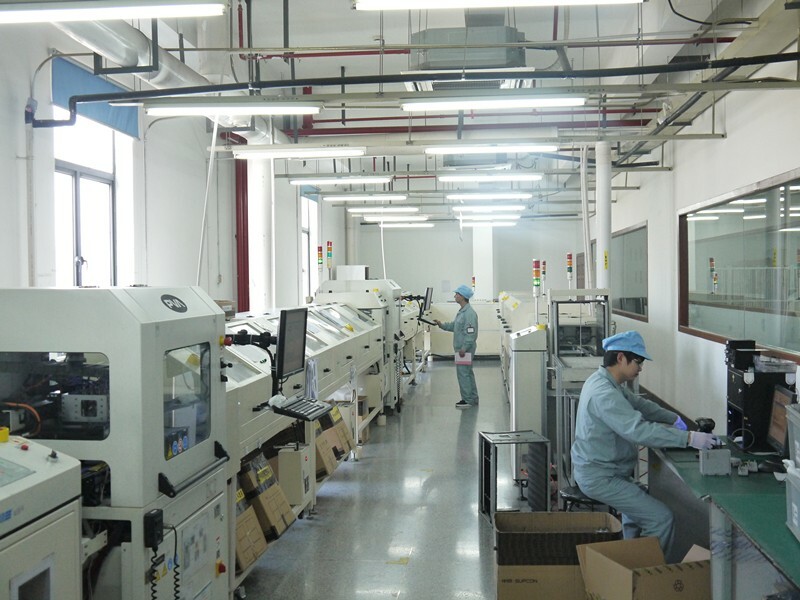 Using advanced production technology and integrated quality management system to ensure the quality of our products. 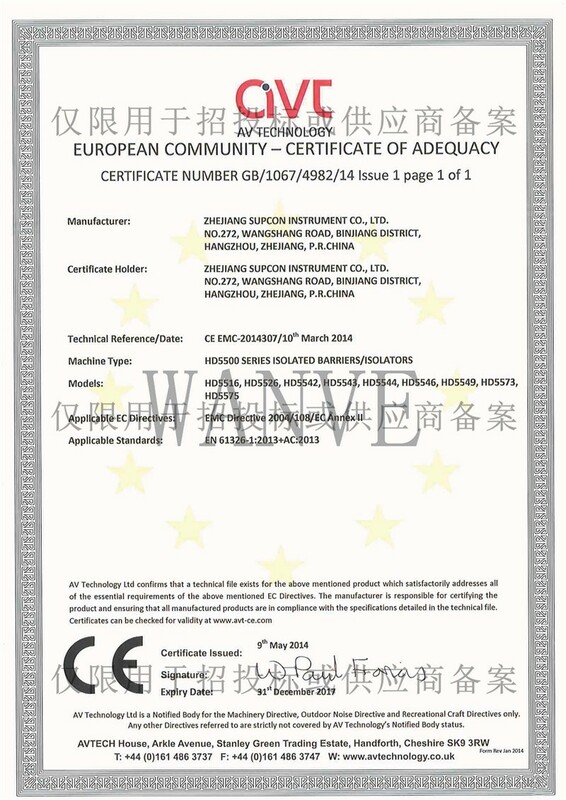 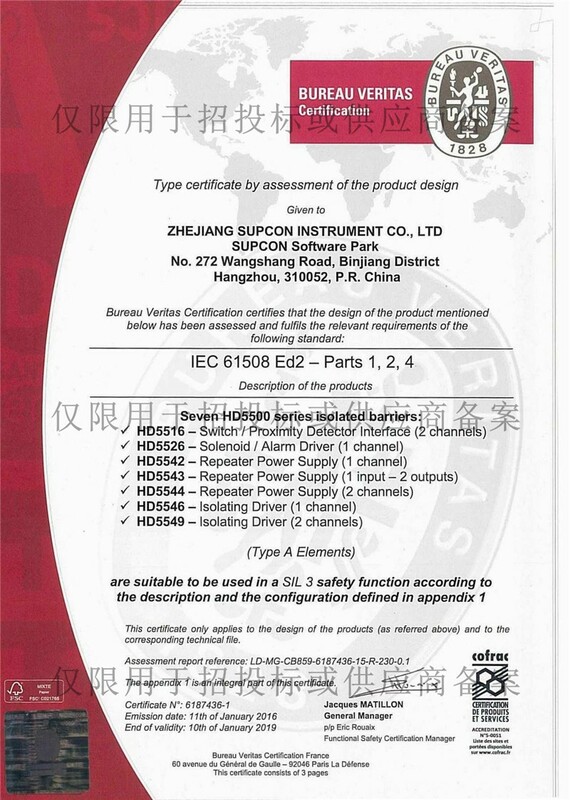 And we have got many Certifications, including ISO 9001 AND 14,001 certification, CE, SIL and so on.